What is the Loire Valley known for? When I ask this question to my (adult) French students, many of them exclaim, “Castles!” Others hear the words Loire Valley and draw a blank, unsure of where it is or what it is famous for. By the time you finish this post, you’ll know about castles and many other treasures that could draw you to this central region of France. This post is an overview of the Loire Valley, but future posts will dive into specific features of this peaceful, yet energetic region. The Loire Valley is named for the Loire River, the longest river in France. It starts somewhere near the center of the country and snakes all the way out toward the western coast, finally reaching the Atlantic Ocean some 600 miles later. Along its banks, there is a lot of activity and many towns worth a visit in themselves. Majestic castles dot the countryside along the river—over 300 of them— and a tour of just a few of these structures alone plus their gardens could fill up several days. 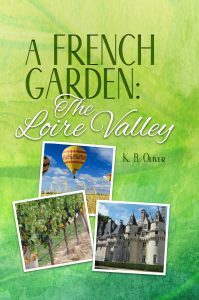 In the old days, the kings of France wanted to get out of the city, so they headed to the ‘burbs…the Loire Valley. A counterpart today, many Parisians have second homes in this area, since it is a relatively short train ride from the capital. Historically, this was the most important area outside of Paris in all of France, not only politically, but the river was a vital trade route. Today it is only used for tours. Here are some cities in the Loire Valley Saumur, Chinon, Tours, Angers, Blois, Amboise, and Orléans. If you are thinking of visiting the Loire Valley, you won’t miss anything if you have a good guidebook beforehand. A French Garden: The Loire Valley is indispensable for your travels. (see below). 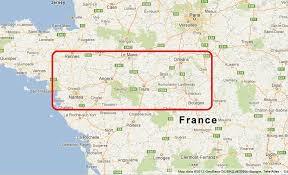 The French spoken here is allegedly the purest in the country, so might be a great place to learn it! The Loire is a world-famous wine region. Some Loire Valley wines you might have heard of: Vouvray, Sancerre, and Pouilly-Fumé. Also the home of Cointreau, an orange-flavored liqueur. Samur was the center of Protestant scholarship in the 16th and 17th centuries until the Revocation of the Edict of Nantes forced Protestants to flee. Leonardo da Vinci spent his last days in this area, as a guest of King François I. His tomb is in Amboise. This is France’s mushroom-growing region. The champignons de Paris used to be cultivated in Paris, hence the name, but the French found that the Loire had a better growing environment for them. Many people live in limestone “tufa” houses, built into cliffs. You can take Tufa tours to visit some of them. Aside from tourism, there is a lot of industry and agriculture in the Loire Valley. It is known as the garden of France. Many of the chateaux are open for visits, while others have been converted into hotels. Yes, you can STAY in a chateau if you want! Bike tours are very popular in this area. Some companies (not vetted by Oliver) There is a lot of variety in price and level of luxury. Wine tours and wine tasting on your own. As you drive around, look for the phrase “Degustation de Vin”. Château d’Amboise : Royal residence right on the riverfront. Leonardo da Vinci died here. Château de Blois : Royal residence right in the city of Blois. There are over 500 rooms, all with a fireplace. Château de Villandry : A grand country house that belonged, not to the royals, but an important employee of King Francis I. This chateau is best-known for its impressive gardens. Château d’Azay-le-Rideau : Named for the town it is in, a very popular château to visit, in the French Renaissance style of architecture. It sits on an island in the Indre River. Château de Chenonceau: one of the best-known, most visited (aside from Versailles) and most photographed chateaux of the Loire Valley. It sits on the river Cher (directly ON it). The current chateau was built in the 16th century on top one from the 12th century. It was a royal residence. Henri II offered it to his mistress, but when he died his wife, Catherine de Medici, retook it and expanded it. Château de Chambourd : The largest château in the Loire Valley and the best-known. Distinctive French Renaissance architecture. Château de Chinon: This castle in Chinon is visibly older than some of those previously mentioned, dating back to the 12th century. It has recently been restored. Château d’Ussé: Also near Chinon, this chateau has a beautiful Disney-esque exterior, although it also dates back to the 12th century and has gone through much restoration. Regarding wine, much can be said, but I’ll save that for a later post. In the meantime, the following website has some detailed info about wines of the region. http://loirevalleywine.com/discover-the-wines/ . As you can see there’s a LOT to do and see in the Loire Valley! 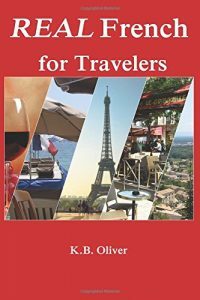 An easy-to-use travel book for the Loire Valley will ensure you don’t miss anything! Maps, highlights, historical details (but not too many! 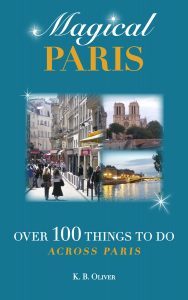 ), suggestions for hotels and restaurants, suggested itineraries, and much more is included in an easy-to-carry book. Amboise, Castle, Chenonceau, close to Paris, France, France travel, Loire, Loire Valley, travel. Bookmark.